Confidential waste disposal can become a headache for a broad range of organisations. It is your responsibility to ensure confidential waste disposal is a secure process. Confidential shredding requires you to partner with a shredding company you can trust. Key to this is understanding how the process works. 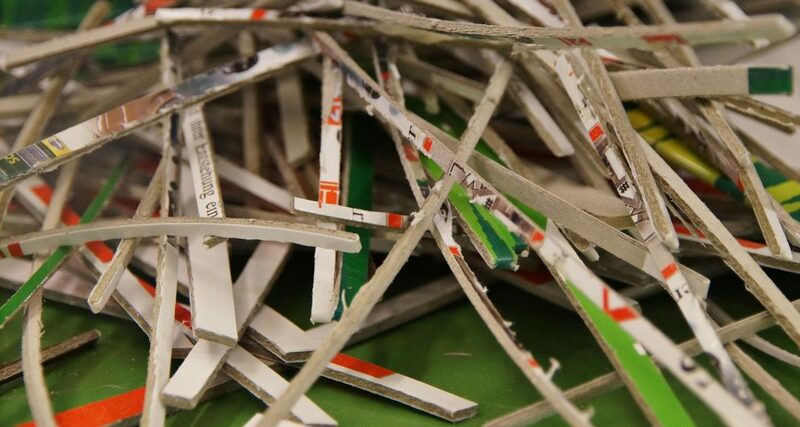 We specialise in confidential shredding and confidential waste disposal. This brings you peace of mind, knowing that our rigorous and reliable systems ensure an efficient yet secure disposal of documents. You can meet your legal data destruction obligations with minimal hassle. We operate a bespoke confidential waste disposal service, ensuring our services are tailored to your unique requirements. Whether you are a small medical centre, or a large law firm, we can meet your confidential shredding needs. Accounting documents: Invoices, purchase orders, communications and quotations. Personnel documents: Interview notes, application forms and CVs, sickness records. Payroll documents: Payslips, payroll print outs and payroll forms, bank details and other payroll information. Personal data: Various documents including personal data such as contact details, or sensitive personal data such as race or medical details. In addition to these common forms, different companies may have additional confidential shredding needs. For example, law firms will have large amounts of correspondence and records to destroy, archive storage businesses will constantly be watching for documents becoming obsolete, and the medical sector will have confidential health records. As well as maintaining your company reputation and integrity, you have a legal responsibility to ensure a secure process of confidential waste disposal. This is largely covered by the GDPR. 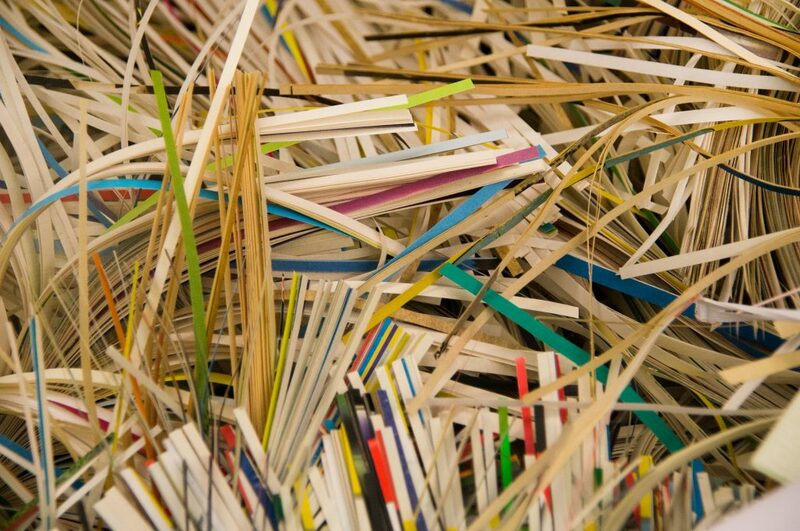 You have two options: secure onsite confidential shredding and secure offsite confidential shredding. Secure lockable bins and cabinets are used onsite for the disposal and storage of confidential paper-based waste. Our mobile confidential shredding truck comes to your site at a pre-arranged time. Our vetted and trained operators oversee the transfer of the confidential documents from the lockable bins and cabinets to the commercial shredder. You are welcome to fully supervise this process as well. The confidential waste is shredded onsite. You are provided with a Certificate of Destruction. The lockable bins and cabinets are then transferred empty, back to their usual locations. We transport the shredded confidential waste to a UK recycling plant. Our secure and GPS tracked collection truck comes to your site at a pre-arranged time. Our vetted and trained operators oversee the transfer of the confidential documents from the lockable bins and cabinets to the collection truck. The confidential waste is taken to our secure shredding facility where it is shredded. You are provided with a Certificate of Destruction. These are both secure and cost-effective services which can be used on an ad hoc or regular basis. We are a national company with an enviable reputation for maintaining the confidentiality of your waste and ensuring secure destruction. We are efficient and reliable. All of our operators are themselves uniformed for easy identification, vetted and trained to uphold our standards. If you’d like to seek further reassurance about the On Time Shred audit trail to prove we meet your obligations, or exactly how we can ensure your confidential waste is disposed of securely, get in touch on 0330 333 1234.